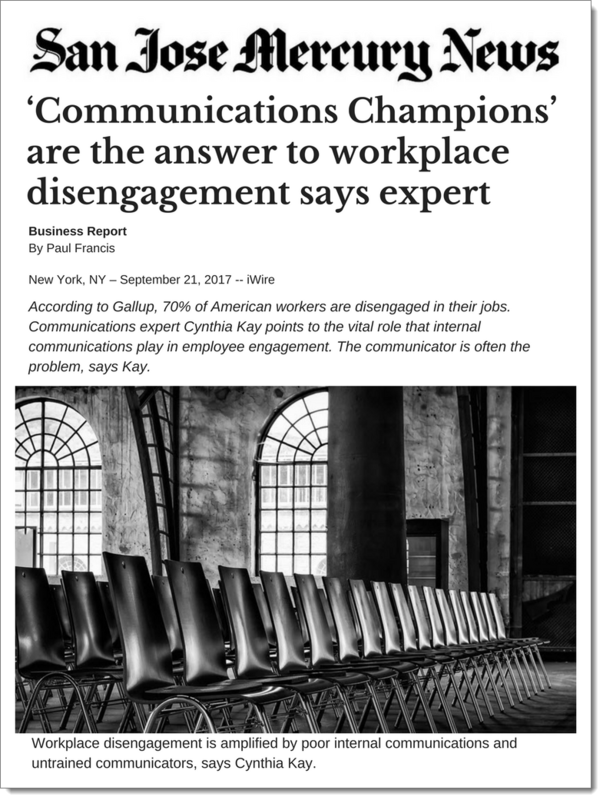 New York, N.Y. – September 21, 2017 - According to Gallup, 70% of American workers are disengaged in their jobs. 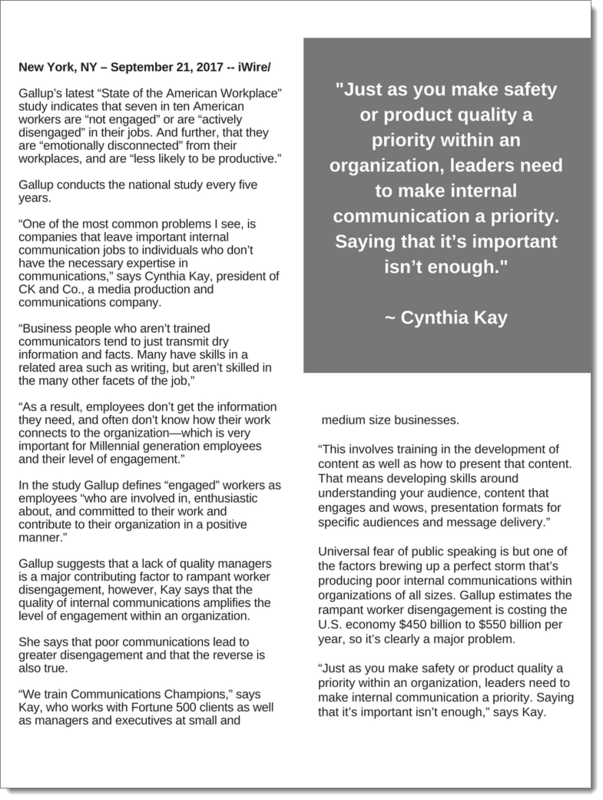 Communications expert Cynthia Kay points to the vital role that internal communications play in employee engagement. The communicator is often the problem, says Kay. ​For the full list of Cynthia Kay's verified media appearances, click here. Cynthia Kay is a passionate spokesperson for small business. She spends significant time speaking to, teaching and coaching small business owners while running her own award-winning company. Cynthia Kay founded Cynthia Kay and Company media production after working in broadcasting where she was honored with awards from United Press International, the Associated Press and numerous regional broadcast awards. A graduate of Michigan State University, Kay holds a Masters in Communications from Western Michigan University. She is the Past Board Chair of the Small Business Association of Michigan (SBAM) and serves on the Executive Board of the National Small Business Association (NSBA) as First Vice Chair. Cynthia has been named One of West Michigan’s 50 Most Influential Women 5 times.